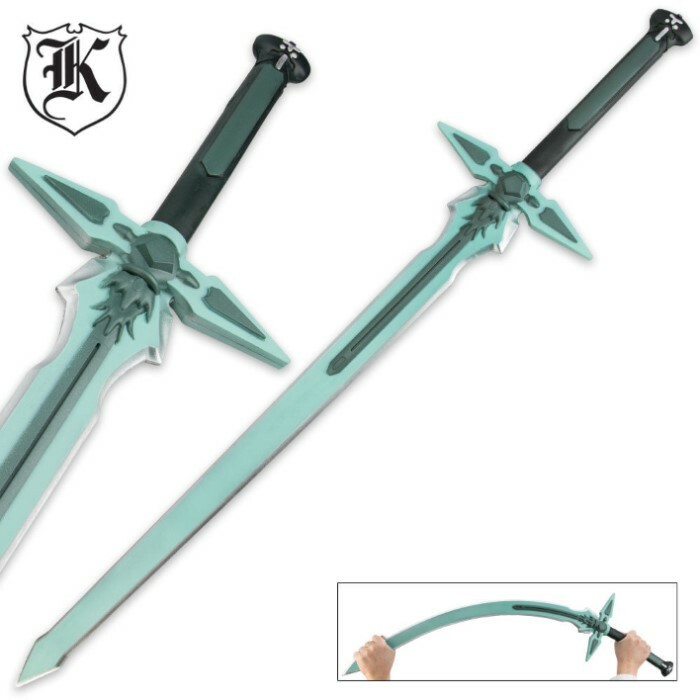 Now you can own a sword that will truly turn heads at your next cosplay event, If you are a fan of anime, then you must own this sword. The foam blade features hand-painted details and accents that give it an incredibly real look. 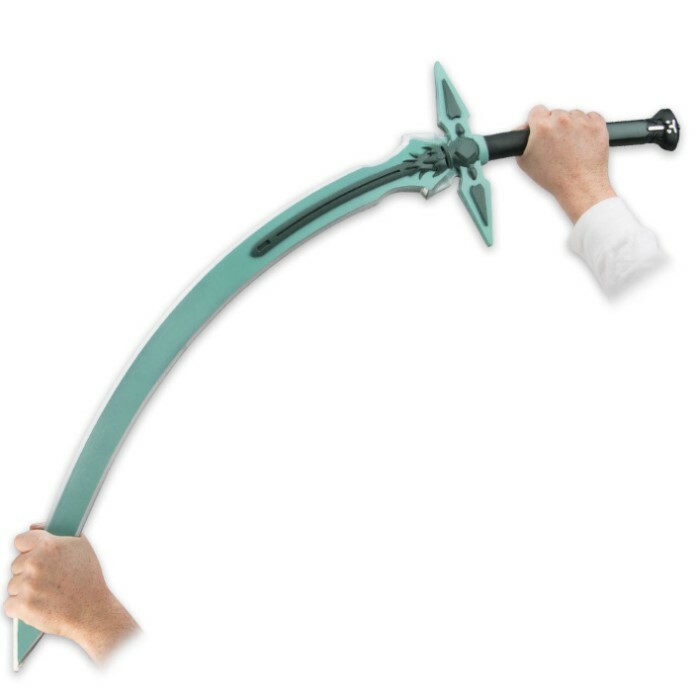 It's very well priced for a high quality sword, it is a bit off color but its amazing, alothough I did get in trouble for hitting my friend by acident, THESE CAN BE DANGEROUS! The guard can rip easily if not treated with care, but its use was good and I am pleased. recommended. For the price not bad its not a overall playtoy more for cosplay events but great foam weapon!